Mark Borkowski, assistant commissioner for the Office of Acquisition and chief acquisition officer and component acquisition executive of U.S. Customs and Border Protection, will be featured as a panelist during the Potomac Officers Club’s 3rd Annual Border Protection Innovations and Technology Forum on March 28th at the 2941 Restaurant in Falls Church, Va.
During the forum GovCon leaders from the public and private sector will address the critical issues of securing U.S. borders, particularly the development, implementation and procurement of new technology used in the field by border patrol officers and agents. Borkowski leads the new office of acquisition, which opened in June 2016 and provides oversight for all CBP acquisitions and consists of three directorates: acquisition governance and oversight, acquisition support and the procurement directorate. He also serves as a component acquisition executive for CBP and ensures acquisition practices are cost effective, support mission requirements and are integrated across the agency. 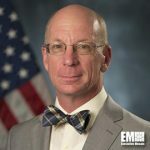 Borkowski was the assistant commissioner for the CBP Office of Technology Innovation and Acquisition from July 2010 until he assumed his current role. He served as the executive director of the Secure Border Initiative between 2008 and 2010 and the executive director for mission support at the headquarters for CBP Border Patrol from 2006 to 2008. Borkowski held a variety of leadership roles with NASA and served for 23 years with the U.S. Air Force before his retirement from the service in 2004. In addition, Borkowski has certification from the Department of Defense and DHS at the highest level for acquisition management. He won numerous awards, including the Lieutenant General John W. O’Neill Outstanding System Program Director Award, several military medals and decorations and civil service performance awards. He earned undergraduate degrees in aeronautical engineering from the Air Force Institute of Technology and in mathematics from the State University of New York at Albany. He obtained master’s degrees in aeronautical engineering from the Air Force Institute of Technology and in national resource strategy from the Industrial College of the Armed Forces. Don’t miss out on your opportunity to register for the 2019 Border Protection Innovations and Technology Forum. You can register for the event here.